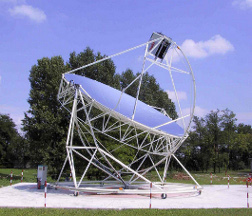 Ricerca sul Sistema Energetico SpA has been established at the end of 2005 (then with the name of "CESI Ricerca") to take over funded research activities of national and international interest and it started operating on January 1st, 2006. The company, formed by nearly four hundred technicians and researchers, will carries out research in the electricity and energy sector, with strong emphasis on experimental applications,. Focus of the mission is to ensure the technology transfer in order to address the national energy, environmental and economic goals. RSE is currently entirely owned by GSE "Gestore Servizi Elettrici" S.p.A and represents an important public research centre in the sector. The National Research Program funded with a levy on the electricity bills named Research dealing with the System (RdS) has been assigned, since its beginning in 2000, to CESI with the aim to assess and to improve the economics, security and quality of Italian electric system. More than 70 Universities and National and International Research Centres participated to the research under the CESI co-ordination. The RdS program is now performed by RSE and other organizations. The company will also ensure the proper diffusion of scientific results to provide a good indication of the potential of emerging technologies in the electrical energy field. RSE quality system is certified (ISO9001:2000).